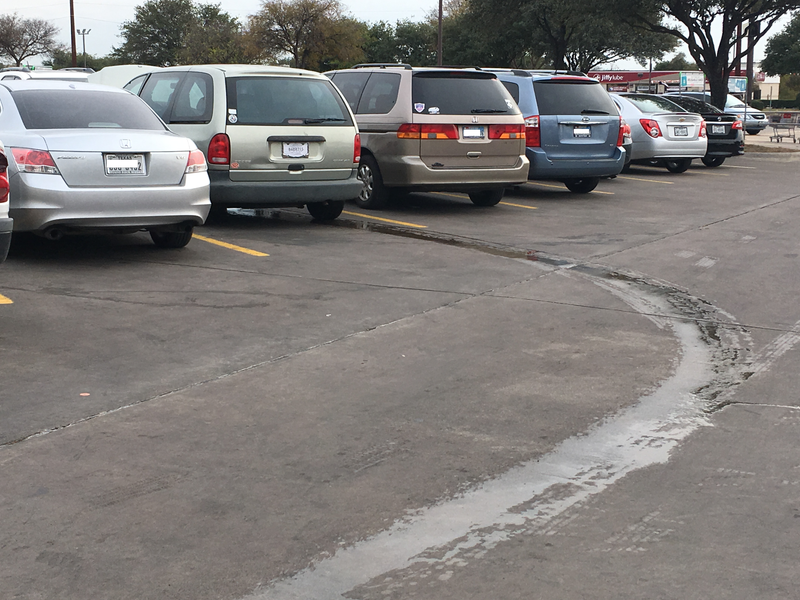 This hemorrhaging Caravan pulled into the grocery store parking lot as I was talking to a friend. Looks like just about every drop of coolant is now on the pavement. Note that the van has temp plates on it. I wonder if he just bought it. The occupants got out, popped the hood, and then went inside the store, perhaps to buy some more coolant.